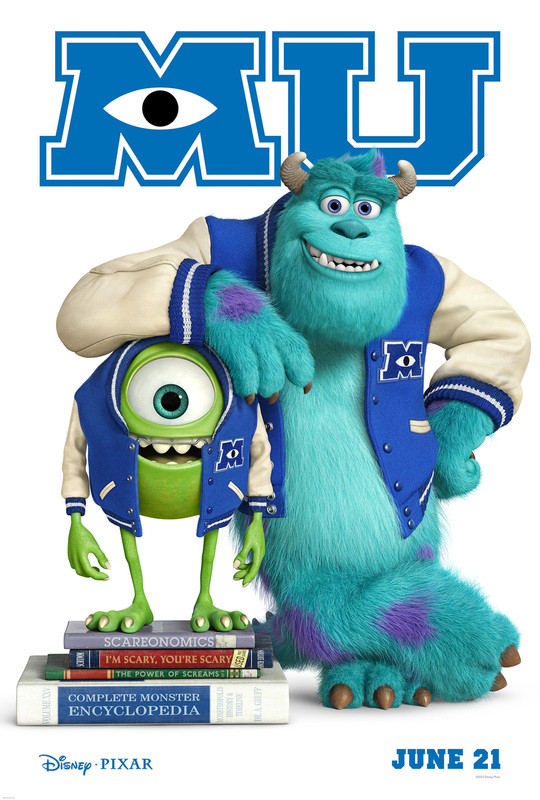 Pixar released two teaser posters for "Monster University" today. One is the image above, and the other is a French poster (read: International) that offers the tone of the film - Revenge of the Monster Nerds? 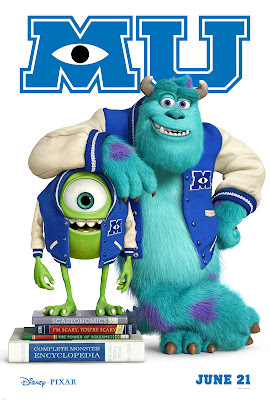 This looks to be an entertaining staple for Emeryville, but I'm most excited about the next few original films they have in development for 2014, 2015 and 2016. I used to love this blog, it used to have new information that nobody had heard previously. Now it just keeps rehashing other people's news or posts stuff we already know about in new wording to make it seem like new news. The theme park news has basically disappeared and when it does show up it isn't even news it's just a rehashing of stuff we already knew about or was previously posted. Sad. Hey, I love Honor's commentary. He provides a much better perspective than other sites like Mice Age or Jim Hill.